1. Gilbert Hom brought handouts of maps of Guangdong Province and showed how to access and enlarge the map of China online to see details of Guangdong. 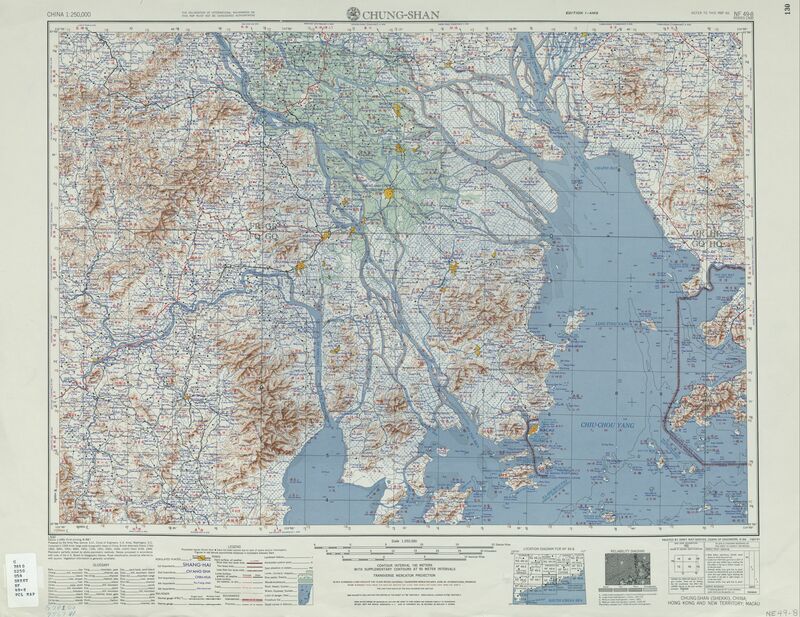 The link to the index to the 1954 US Army map of China is:http://www.lib.utexas.edu/maps/ams/china/ To go directly to Taishan (Toisan), click on section 8 or usehttp://www.lib.utexas.edu/maps/ams/china/txu-oclc-10552568-nf49-8.jpg and zoom in a few times to enlarge. 2. Panelists included: Patti Dung, Steve Kwok, Wayne Louie. All panelists talked about how they found and visited their ancestral villages. They showed slides on what they found there, including houses, altars, jia pus, relatives, and landscape. The resources below most often list only China or Kwangtung. 3. Steve Kwok instructed the group on how to find villages on google-maps using the pinyin spelling or Simplified Chinese characters of village names. Steve showed photos from his family visits to the ancestral villages of his family and his wife’s family. 4. Wayne Louie provided a list of family associations whose members may be able to help in locating ancestral villages. He projected photos of his family’s village visit, which included a “by sun” ceremony and trip to the ancestral cemetery up in the mountains. He showed the huge 4-volume jia pu of the Louie family. 5. Jim Jang's presentation included videos of asking for directions in China. His mother was present at the meeting and Jim talked about how she had left China in 1947 and the relatives and house they found when they visited. 6. Carol Ng showed photos her father had taken of the family house in the 1930s and what is there now. Newer constructed house in back of the original house. Photos of her father and his family were on the wall and she discovered a photo of her grandmother. The presentations were followed by audience Q and A and shared experiences in visiting ancestral villages. Find English and Chinese maps, plus satellite maps. Search for Taishan (Toisan/Hoisan) villages in Guangdong by pasting in the characters for the name of your village 台山市斗山镇大湾村 (replace 大湾村 with the characters for your village). If the village is not in 台山 Taishan but in Guangdong Province, then paste in the name of county characters for 中山 Zhongshan, 開平 Kaiping, and 新會Xinhui, and then the characters for your village. The center operates the “In Search of Roots program”, a year-long program geared toward young people, culminating in a journey to ancestral villages in China, and a new, similar program geared for adults over 30 called “Roots Plus.” Stories and village photos from participants.